Review of “A. Lincoln” By Ronald White, Jr.
“A. 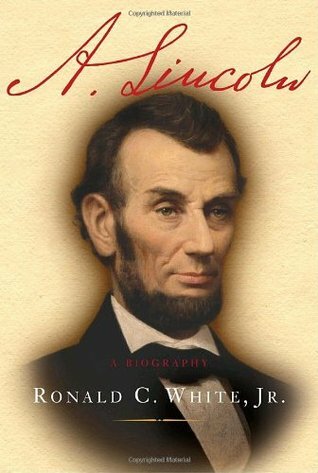 Lincoln: A Biography” is Ronald White, Jr.‘s 2009 biography of Abraham Lincoln. White is the author of seven other books including two previous books on Lincoln. He is a graduate of UCLA and Princeton Theological Seminary and is a Visiting Professor of History at UCLA. He is currently working on a biography of Ulysses S. Grant, to be published in early 2015. There is certainly no shortage of biographies of Abraham Lincoln. So it is high praise that White’s effort is often described as the best single-volume Lincoln biography since David Herbert Donald’s “Lincoln” was published in 1995. Consistent with my expectations, this book provided a broad, clear and penetrating review of our sixteenth president. 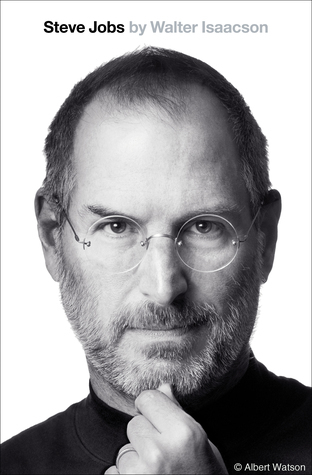 Although this is a lengthy biography (with nearly 700 pages of text and almost 100 pages of notes) it is lucid, free flowing and extremely easy to read. White manages to pack his pages with a significant amount of detail but without losing the big picture or slowing the book’s pace. Numerous maps, charts, illustrations and photographs are embedded throughout the text, and they appear when contextually appropriate rather than being bunched together arbitrarily as is the case with many books. White’s synthesis of Lincoln’s complex life is well calibrated and his frequent review of Lincoln’s most notable letters and speeches is interesting and insightful. Equally valuable is the way this book traces Lincoln’s public and private views toward slavery from his childhood through his presidency. Coverage of the Lincoln Douglas debates of 1858 proves absolutely superb. But most commendable may be the way White’s biography demonstrates Lincoln’s lifetime of enormous intellectual and emotional growth and maturity. Exceptional in many ways, this biography is not perfect. The first half of the book is less interesting than I would have liked and provides less insight into Lincoln’s ancestry and childhood than another (multi-volume) biography of Lincoln I recently completed. Also, White focuses principally, though not exclusively, on Lincoln’s legal and political careers so the spotlight rarely shines on his family. In what space is devoted to her, White is too generous in his treatment of Mary Todd Lincoln who, by most accounts, was fiendishly difficult. One of Lincoln’s law partners described his marriage as “a burning, scorching hell” and the First Lady was sometimes referred to as “her Satanic majesty.” Yet none of this color infuses White’s biography. To my greater disappointment, the book ends rather abruptly after Lincoln’s death, with little reflection on his legacy. Overall, this is an extremely readable biography which provides much more than just a satisfactory introduction to Lincoln. White’s biography displays a marvelous balance of breadth vs. depth of coverage and is accentuated by moments of excellence. It is suitable for someone with little familiarity with Lincoln as well as a scholar seeking new perspectives on a fascinating president. Despite falling slightly short of my lofty expectations, Ronald White’s “A. Lincoln” is educational, enjoyable and well worthwhile. I am just about finished reading this book and I have found it tremendously enjoyable and engaging. I especially enjoyed the first half of the book getting to know the man and about his law practice and sample cases which I believe formed the man he became. I am loving this book! Next up, Andrew Johnson. Any recommendations? I’m glad you enjoyed the Ronald White bio of Lincoln! Sadly, you have far fewer choices with Andrew Johnson… The classic bio of Johnson is “Andrew Johnson: A Biography” by Hans Trefousse but it didn’t thrill me. Nonetheless, it was solid. More exciting, but less comprehensive was ““Impeached: The Trial of President Andrew Johnson and the Fight for Lincoln’s Legacy”” by David Stewart. It was far more engaging, but really only began to focus on Johnson beginning with his presidency. Good luck! Until Lincoln, I had only read one biography of each president, but decided to read this after DKG’s “Team of Rivals”. I loved TOR, and I think that set me up for disappointment with “A. Lincoln.” I also only bought White’s bio because I stumbled upon a $1.99 deal for an ebook version, so perhaps that led to low expectations as well. I don’t know how you do multiple bios of each president, when I feel like I messed up with just two. My stovepipe hat is off to you. And White is redeemed with “American Ulysses,” so I’m feeling more like my judgment of “A. Lincoln” was too harsh. I purchased both A. Lincoln and Team of Rivals. Which order would you recommend reading them? Intriguing question! No matter which order you choose I think you will appreciate the *second* book the most. That order should allow you to really appreciate the clever approach Goodwin took in crafting her narrative in a way you might not if you proceeded in the opposite direction. And I think of “Team of Rivals” as the ultimate icing on the cake — to be fully appreciated you have to have some of the cake first. But I could be wrong…I’d love to get your impressions when you’ve read them both (no matter which order you pick)!